Top Japanese automakers said Wednesday they were scrambling to assess the quality of their vehicles that used products from Kobe Steel, which has admitted to falsifying quality data in a growing scandal. Toyota, Nissan, Honda, Mitsubishi Motor, Subaru and Mazda joined aviation firms and defence contractors Mitsubishi Heavy Industries, Kawasaki Heavy Industries and IHI that have used Kobe Steel products. The "Shinkansen" bullet trains also used Kobe Steel's aluminium, as did high-speed trains in Britain, according to engineering firm Hitachi. "Products used (for both Japanese and British trains) met safety standards. But they did not meet the specifications that were agreed between us and Kobe Steel," a Hitachi spokesman told AFP. Honda spokesman Tamon Kusakabe told AFP: "As to safety, we are still studying (a possible) impact." "At this point, we don't see a critical problem as we have our own safety inspection on materials we use. But we are still investigating and it's premature to say" if recalls are necessary or not, he said. Auto giant Toyota has already said Kobe Steel supplied materials to one of its Japanese factories, which used them in hoods, rear doors and surrounding areas of certain vehicles. 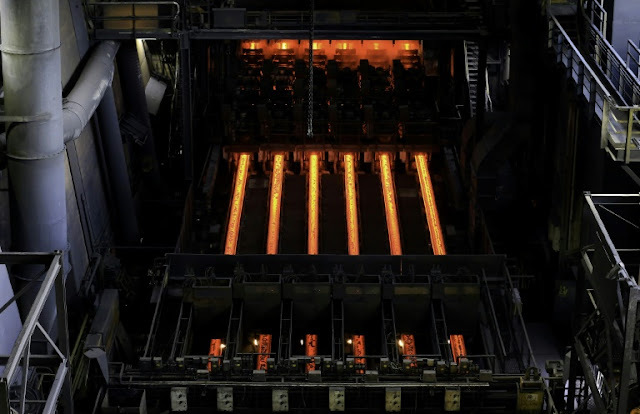 The industry ministry has pressed Kobe Steel to work with its clients, spread over a wide range of industries, to conduct urgent safety analysis. The brewing crisis is the latest in a string of quality control and governance scandals to hit major Japanese businesses in recent years, undermining the country's reputation for quality. It is an additional headache for Nissan, which has already announced a recall of more than a million vehicles in the domestic market over a certification issue. The Kobe Steel scandal broke on Sunday when the manufacturer admitted to falsifying data linked to the strength and quality of products. An internal probe has revealed that data were fabricated for about 19,300 tons of aluminium products, 2,200 tons of copper products and 19,400 units of aluminium castings and forgings shipped to clients between September 2016 through August 2017. The stock dived 22 percent on Tuesday to finish at 1,068 yen ($9.50), its maximum daily loss limit -- wiping almost a billion dollars off the firm's market value. By early afternoon Wednesday, the stock plunged a further 19.66 percent to 858 yen. The company said the fabrications, which might have started a decade ago, could affect products sent to as many as 200 companies. It was not clear whether the scandal affects the safety of their products. 0 Response to "Japan steel scandal grows as more carmakers hit"